After eleven weeks of NFL football, what’s left to play for in the NFC East as one of the league’s most competitive conferences edges towards a conclusion – and what do the Washington Redskins have to do? On this day, September 16th waaaaay back in 1937, the Washington Redskins defeated the New York Giants 13-3 at Griffith Stadium. This game could quickly and concisely be described as a “Riley Smith” game. After all, the Redskins opened the scoring when Riley Smith kicked a field goal in the first quarter. The Giants tied it at three with their own field goal in the second quarter and it stayed that way until the 4th quarter when Riley Smith intercepted a pass and returned it 58 yards for a touchdown. Which Riley Smith then converted to make the score 10-3 Redskins. Riley Smith added a field goal late in the fourth to make it 13-3 and put the game out of reach. Despite the great game by Smith, this game has more historical significance. First of all, it was the very first time that the WASHINGTON Redskins beat the New York Giants. While they had beaten the Giants three times before in the franchise’s five year tenure, it was while they were in Boston – once as the Boston Braves (14-6, October 9, 1932) and twice as the Boston Redskins (21-20, October 8, 1933; 14-0, December 6, 1936). But most significantly, this game marked the debut of Slingin’ Sammy Baugh – the rookie tailback sensation from Texas Christian University – and the Redskins first round draft pick. He played a full sixty minutes, and completed 11 of 16 passes for 115 yards. It wasn’t earth shattering, but it WAS the beginning. The Redskins finished the season 8-3, and went on to win their first World Championship by beating the Bears 28-21. Flashback Friday is a great excuse to slide in this fantastic vintage Sammy Baugh advertisement! You will often hear people remark that no one, single play defines a game, but it would be tough to deny that if you string even two or three really bad plays together, the result will be reflected negatively in the score more often than not. Such was the case on Thursday night in the Washington Redskins’ 32-21 loss to the New York Giants. Are you ready for some Thursday Night Football? For those who read my last blog about Grossman (Redskins Start With Grossman) you’ll note I kind of predicted this last weekend’s performance. For the game, Grossman was 21 of 34 (62% completion) for 305 yards, two touchdowns, no interceptions (though one was close) and one fumble. While Antrel Rolle may whine about how the Giants would beat the Redskins “95 out of 100 times” Rolle has failed to recognize that we didn’t beat New York because our offense was better; we beat them because our defense was. 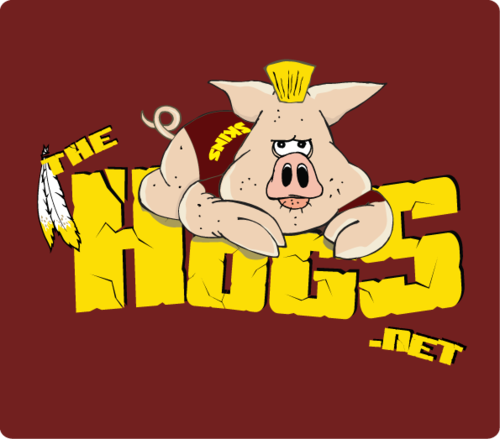 So, this past Friday I had the honor and privilege of representing TheHogs.net on BMitchLive.TV. You can see the show here. I won’t bore you with the minutia that you can see in the show itself, but here are a few highlights and impressions that you wouldn’t see on the show.